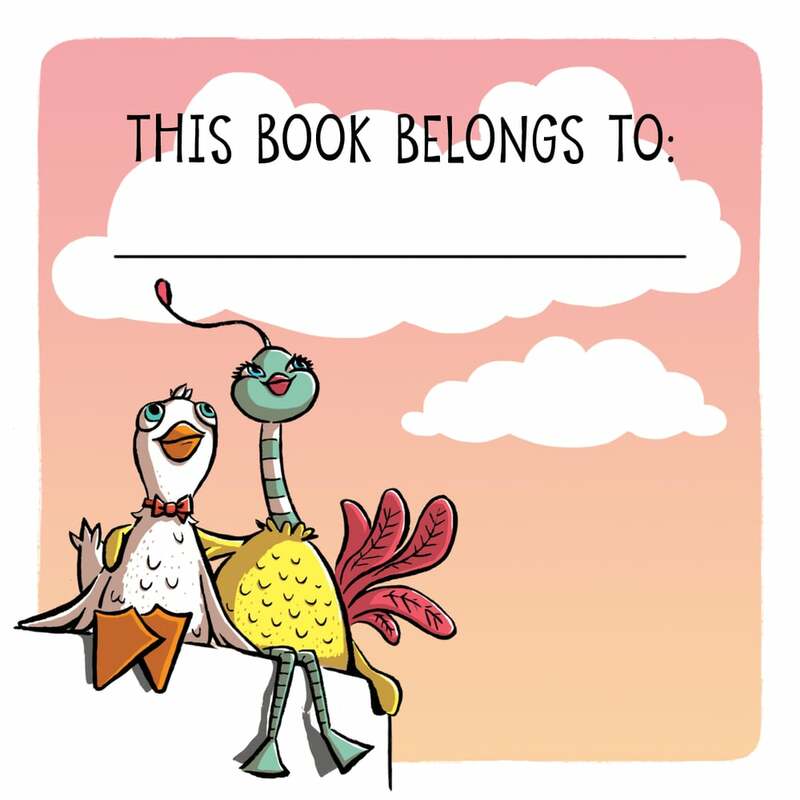 Lisa made an adorable Dill & Bizzy book plate! Who doesn't like their name in a book? And one way we can use them is to personalize copies of the book from afar. If you'd like a signed copy of the book or would like to give a signed copy as a gift, but haven't preordered from Annie Bloom's Books (see details on Books page), send us an email and we can mail you a signed bookplate (for free) that you can use on a book you've purchased from your local shop. Fun! When I sold my manuscript back in 2013, 2016 seemed like a loooong way away. But now it's here and our little book will be out in the world this very month! Cheers! After three long years in the works, Dill and Bizzy are finally making their way into the world! Publication date is January 26th, 2016. Just in time for, um, Valentine’s Day? Though if you had your heart set on giving Dill & Bizzy for one of the more gift-oriented holidays in December, fear not, we have a plan! It is not a perfect plan, mind you, but it is the best we can do☺ We’ve printed up some delightful IOUs featuring our favorite feathered friends. Send us an message and let us know if you want one (or more than one). Then preorder the book so it will be shipped directly to the recipient on January 26th, or pick it up at your local bookstore on that day! It’s the perfect 32nd day of Christmas gift! Speaking of local bookstores, we are excited to be working with Annie Bloom’s Books right here in Portland to offer signed copies of Dill & Bizzy. You can pre-order the book on their website and make sure to write in the NOTES area that you want a signed copy (and give any signing instructions). We will head over to Annie Bloom’s on January 26th to sign all the books before they are shipped! Yay! Or if you live in Portland, come on out to our book release at Green Bean Books and get a copy signed in person! Please see the EVENTS page for details.